Indian domestic travel revenues: Tourism industry in India is growing at a rapid pace. According to World Travel & Tourism Council, tourism generated INR 14.02 lakh crore in 2016; this was 9.6% of GDP and supported 40.3 million jobs. It is anticipated that the tourism sector will grow at an average rate of 6.8% per annum and by 2027 it will increase to INR 28.49 lakh crore. Domestic tourism is an important segment of the tourism industry which has increased significantly in the last couple of years. Improved economic conditions and greater exposure to mass media have increased the awareness about tourism. Domestic travellers contribute 82.7% of total tourism revenue. Emerging verticals of Indian tourism industry: India has mountains, oceans, deserts, valleys, rainforests etc. The vastness and diversity of India offers various options to tourists such as wellness, medical, cruise, adventure, spiritual and eco-tourism. The Travel & Tourism Competitiveness Report 2015 ranked India on number 8th for price competitiveness. Improved infrastructure, price competitiveness and government initiatives such as Incredible India and Swachh Bharat Abhiyan attract tourist from all over the world. Domestic travel in India is expected to rise in coming years due to rapidly increasing purchasing power of the middle class, evolving lifestyle and better infrastructure. Current Government’s pro-tourism policies and large share of young population below 40 years in India will also boost tourism exponentially. What these trends mean for hotel owners? Increase number of rooms and hotels: Domestic demand for hotels in India has only been rising every year and it has surpassed the inbound demand. Due to this increased flow of domestic travellers, the average occupancy rate of hotels has increased by 6% in 2015-2016 compared to previous year (According to HVS 2016 Hotels in India Trends Report). Global hospitality major Carlson Rezidor group is planning to open 16 more hotels across the country by the end of 2017 and aiming to increase the number of its hotels in India to 170 by 2020. To meet the increasing demand, hotel owners should increase number of rooms available with them by adding more rooms or hotels. This increase in availability of rooms will ensure balance in demand and supply fluctuations. Target tier II and tier III cities like Indore, Jaipur, Ludhiana, Agra, etc. : A new market is emerging for budget hotels in tier II and tier III cities because of availability of tourism opportunities as well as growing base of middle class who are looking for low-cost leisure travelling. From the perspective of hotel owners, budget hotels cost less and generate better returns. Also, these cities offer good opportunities and lesser obstacles for brands to expand and create a loyal brand name. So this mix of new emerging market and new hotel segment presents a great opportunity for hotel owners. Leisure is not limited to weekend getaways: Nowadays people book hotels all through the week. Destination weddings, social functions, corporate getaways and MICE are in trend these days and hotels get occupied throughout the week more often than before. Hotel owners can capitalize on these trends by offering discounts on extended stays and by adopting a dynamic room rate strategy. Reach out to businesses interested in corporate leisure getaways: Businesses want to engage better with their employees and they are on a lookout for such deals. So they are looking for partnering with hotels on a long-term basis to reduce the cost of travels and stay. Cater to FIT segment: Customised hotel rooms are the latest trend in hotel industry where guest can customize amenities of the room such as types of toilet paper, art work on the wall, type of drink etc. People nowadays don’t travel, they crave for experiences. Hotel owners need to understand this and provide customized plans for FIT segment. Create a strategy to reach millennials or gen Y: Internet plays a key role in the development of hotel and tourism industry. Feedback and reviews of users on websites and social media such as facebook and twitter catalyze the sale. It is also very easy to be in touch with loyal customers through the internet and maintain the relationship. An online presence in form of a user-friendly and responsive website and association with hotel review sites such as Trip Advisor, Make My Trip etc. is important to enhance the confidence of customer about the hotel where customers can check the reviews and get real insights about the property. Create profitable alliances with hotels: Alliances among hotels will not only provide more options to loyal customers but also will expand business to the pan-India level without much investment. Moreover, it will improve brand image, thus attracting more customers. 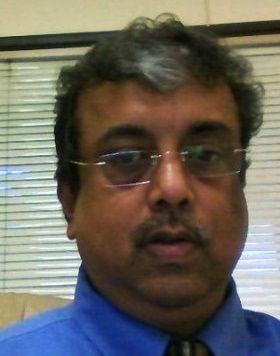 Manoj Nandkeolyar is a seasoned hotelier with over 28 years experience with leading hotel groups. He is an OCLD graduate and has completed successful assignments at Hotel Oberoi Towers, IHG, & Carlson Rezidor Hotels. His last assignment at CDMS saw an exponential growth of CIS Hotels in India from 6 operational in 2007 to 24 in 2016. He is well respected in the hotel and travel trade industry and interacted with the government on various tourism initiatives. © 2016. Rosegold Hospitality. All Rights Reserved.